Orange Calcite is said to be an energy amplifier, it is also believed to remove negative energy from our bodies and the environment. 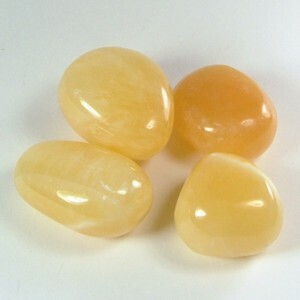 In healing Orange Calcite can be placed on the Sacral and the Solar Plexus Chakras. It is reputed to reduce discomfort from irritable bowl syndrome and to help combat gallbladder and intestinal disorders. It is also believed to alleviate depression by promoting positive thinking, and through clearing feelings of stress, fear and tension.